Steven Butala: Today, Jill and I talk about when to leave your job when it starts costing you money. Jill DeWit: Yep. Remember that? Steven Butala: Mm-hmm (affirmative). Learn how to read, Steve. Jill DeWit: I wasn’t going to … I’m just going to let it go. I figured it’ll fix itself. Steven Butala: It’ll fix itself. Wow. Wouldn’t that be great if that’s true? Jill DeWit: I do this often, by the way. You just don’t know it. Steven Butala: Leave Your Job When It Starts Costing You Money. That’s the title. Jill DeWit: That’s a little bit better. Steven Butala: I had an old Volvo 240, the square kind, and I swear that car was self-healing. Steven Butala: Yeah. Something would go wrong, and like two weeks later, it would just be okay. Jill DeWit: You know what’s funny I found about cars? When you think … Every time I’ve had a car, when it’s gassed up and clean, it runs better. Have you ever noticed that? 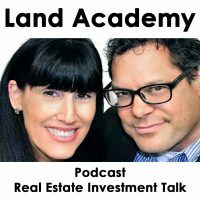 Steven Butala: We’re experts at avoiding talking about real estate. Jill DeWit: Exactly. Speaking of talking, can you tell I have a little bit of the raspy thing going? Jill DeWit: We had a little bit of a rough weekend. Jill DeWit: Because, we had some friends in town all last week. Steven Butala: Yeah, both of us. Jill DeWit: Yeah. It was a little much. Steven Butala: Best thing you can do after a rough weekend with friends is get yourself a podcast to avoid work. Steven Butala: That’s what this is right now. Jill DeWit: That’s good. Perfect. Steven Butala: Before we get into it, let’s post a question posted by one of our members on the LandAcademy.com online community. It’s free. Steven Butala: Picture perfect, Charles. Jill DeWit: This is great. “The gentlemen … they were cousins … that were selling the property fit the ideal scenario. They inherited the land in the ’80s, never did anything with it besides keep the taxes current, and were motivated to sell. I sent the mailer to one of the gentleman’s mother, who happened to be deceased, but her name was still on the property. The seller called me and mentioned he received the mailer that I sent to his mother, and asked if I was interested in buying three additional separate parcels in addition to the one I made the offer on. And, which I eventually did after I completed my research. Here are some of the parcel details. Parcel one, 3.9 acres. Parcel two, 1.5 acres. Parcel three 0.73 acres. Parcel four, 0.24 acres. Total purchase price, $750.” Crazy. Steven Butala: This is a no lose situation. Steven Butala: Charles has put himself, at the very beginning of his career here, exactly where he should put himself. Steven Butala: He is absolutely winning. Jill DeWit: “It definitely was a learning process talking with the county’s recorder’s office to ensure that I didn’t get the deed returned back for errors. But, I’m proud to say I have the recorded deed in my possession. It’s taken me a little while, but I’d imagine I’ll be able to do this again in at least half as much the time in the future. I’ll be plastering these properties for sale everywhere soon. Wish me luck.” Awesome. Steven Butala: Chances are they’re sold. Jill DeWit: Very well could be by now. Jill DeWit: That’s very true. Gosh, with those prices, holy moly. That is a triple your … That’s doubling it is almost not enough. You ever notice that, sometimes, Steven? Where, remember in the … When you price things, sometimes, too low, people don’t believe you. Steven Butala: Yeah. I would not recommend doubling your money here. I’d go to town. Jill DeWit: Yeah. Mark them up more. Steven Butala: He’s going to make 10 grand on this, probably. At least. Jill DeWit: Very well could. Steven Butala: 10,000 is ultra wholesale. Steven Butala: Yeah, one of these a month is very conceivable. Jill DeWit: It’s like six-and-a-half acres in total. Steven Butala: It’s also great that it’s four properties and not one. I love when they’re all cut up. Multi-unit deals are the way to go. Jill DeWit: Yeah, it’s perfect. That’s so cool. Steven Butala: Multi-unit deals, so there’s one seller. They could put it all on one deed, and then sell it to four separate people. There’s nothing better. Jill DeWit: Yep. Congrats, Charles. That’s awesome. Steven Butala: The only thing better than four deals is five deals. Steven Butala: Today’s topic: Leave Your Job When It Starts Costing You Money. This is the meat of the show. The heck does that mean? What happens is this. This is, “So, you’ve done a hundred deals a week. What do you do now?” That’s the theme for this week. Well, if you’ve done a hundred deals and you still have a full-time job, I can almost guarantee you that it’s costing you money. I remember the exact moment … We haven’t talked about this in a while on the show … I personally remember the exact moment, for me, where I looked in my bank balance and there was half-a-million dollars in there. I went in the next day, and I left. Steven Butala: I asked the guy that owned the company, “Do you want me to put in two weeks? Or, do you just want me to pack my stuff up?” “No,” he was like, “Just pack the stuff up.” We sat and talked, and I told him why. Steven Butala: Because, I wasn’t convinced … This was long before we were sending mailers out. I was just going to tax auctions around the southwestern part of the country, in California, Arizona, and New Mexico, specifically. My big question back then … This is like 1999 or 2000 … my big question was, “Can I just repeat this? Did I just get lucky?” I kind of got lucky. I went to one auction. I bought a bunch of property. Then I sent a … Back then it was faxes … I faxed a real estate who happened to own a bunch of property in northern Arizona. I bought it all for a great price and just sold it on eBay. My question was, “Yeah. I better keep my job, because I don’t think I can repeat this. I just got lucky.” Well, that’s not what happened at all. So, I ran out of there. Steven Butala: He said he tripled how much money he was making immediately, because he could actually work on the stuff that he wanted to for the whole time. Steven Butala: I’m not advocating at all that you quit your job in any way until you’re absolutely ready. I quit my job, probably, a year too late. Steven Butala: Yep. Then, eventually, I figured the mail out around 2004-ish. I figured out what RealQuest data was all about, and sending a mailer, and the whole thing. Then it was over. Then it was just off to the races. Steven Butala: I wonder, if I never quit my job, would I have had enough time to actually figure that all out? Jill DeWit: I was more concerned you might not have found me. Who cares about the business? Steven Butala: That’s before I met Jill. Jill DeWit: Isn’t that funny? You churn sheer laziness your way, and you’re automating like, “There’s got to be a way to automate.” Which is really, again, being lazy. Let’s just call a spade a spade. “I don’t want to do it. But, I’m going to sit down and do a mailer, I want to do one mailer that’s going to last me for 90 days,” which is what you do. There you go. Then, on the flip side, that’s the way to grow. Jill DeWit: That’s the only way. Steven Butala: I sent a fax out to all the real estate agents in Arizona, said, “Look, if you have any properties, I’ll pay you cash. Real cheap, though.” I bought 236 properties from one seller. They were real close to the Grand Canyon. I made like $3,000 a property. Steven Butala: Three-quarters-of-a-million bucks for like 30 days of work. Steven Butala: Yeah. I left my job. Jill DeWit: When you asked me to. Steven Butala: Did you come to it on your own, though? I don’t really remember how it all transpired. Jill DeWit: No, I think that I would have eventually, because I was getting … It was a lot of work, man. Because, I found myself really trying to kill it. I was killing it at two jobs separately. At one point, something’s got to give. It was you that called it, which was great. Steven Butala: Yeah. We went to an auction … We don’t go to auctions anymore. But, we do it online a little bit. We went to an auction, and bought 11,000 properties. Jill DeWit: Yep. I remember you saying to me, too, “All right, knock it off. I see you …” I wasn’t able to give 100%, all the time, to our land efforts, because my day job got in the way. I had scheduled hours, so I could sneak little things in there, like on breaks and my lunch and after work, and all that good stuff. But, it wasn’t the same. That’s when you said, “I can …” And, you could tell. You’re like, “Look, the energy that you’re pouring into this day job to keep it going, you just need to pour it into our stuff.” That’s what happened. Jill DeWit: Whoops. Hold on. Steven Butala: No, hold on. Let me finish the sentence. If you’ve quit your job, or more importantly, your spouse has and you have little kids, send us an email. Jill and I love getting these emails. Steven Butala: I got one from one of our real successful members about six months ago. It always makes Jill cry, too. Steven Butala: That’s more important, the spouse thing … having a happy spouse is good. Jill DeWit: Yeah. That really is better than a bank balance. Steven Butala: Let them quit your job first before you do. Steven Butala: Strangely enough, Jill, I’ve noticed that you’re not wearing any makeup today. Steven Butala: I just think that’s the greatest thing ever. Jill DeWit: I have no makeup on, and I’m wearing shorts. And, I’m hoarse from the crazy weekend with our friends. What does that say? Steven Butala: Don’t quit your job until you’re absolutely sure. Steven Butala: Even then, in the back of my head, I was like, “You know? If something really did happen, I could probably go do something else.” Here’s what I would do. Keep the job. Pay off 100% of your debt. Use the money that you’re … If you can get away with not having a mortgage, and you have no debt, and you own your house free and clear, or you have a reasonable place to rent, that’s when I would really start thinking about, “Okay …” and you’ve done 100 deals. Now, I’d start thinking about it. You don’t want to service your own debt, man. It’s just a bad idea. I know how the conversation goes. I’ve had it with myself a million times. “Well, I can get there that much faster without this job. I can pay off all this …” No, no. You do not want to rush into that. Jill DeWit: Exactly. It never seems to really work out like you want it to. Steven Butala: If you have to talk yourself into something, it’s just not time yet. Jill DeWit: Yeah. You really should be going, “What am I thinking? I should have done this … What …” Yeah. Jill DeWit: That’s it. Then you know it’s right. Steven Butala: Well, you’ve done it again. 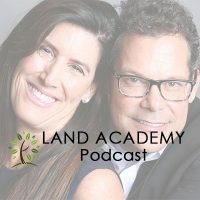 You’ve spent almost 15 minutes with us today listening to The Land Academy Show. 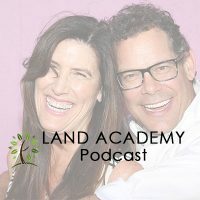 Join us tomorrow for another interesting episode where we discuss Choosing Your Land Acquisition Niche Specialization. Oh, that’s a great topic. Jill DeWit: That’s a mouthful. 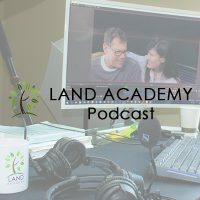 Jill DeWit: And, we answer your questions posted on our free online community found at LandAcademy.com. Steven Butala: You are not alone in your real estate ambition. I can’t wait for this topic. Jill DeWit: These are some big words here. Steven Butala: Yeah, niche specialization. That’s like different languages. Jill DeWit: I wonder how many people are Google searching for all that. Jill DeWit: No, no. No, no. It’s got land in there. At least we got that. Jill DeWit: Great job. Good job. Steven Butala: No, there’s great niches out there. Infill lots. There’s a million apartment property. All kinds of niches that you can find. Steven Butala: Property owned by dead people that you have to undo. That’s a good specialization. Jill DeWit: That’s a niche. Steven Butala: You’ll make a ton of money doing that. Jill DeWit: Share the fun by subscribing on iTunes or wherever you’re listening. While you’re at it, rate us there. We are Steve and Jill.